Strong wind and pockets of heavy snow is producing white out conditions along the Great Lakes this morning (Friday). 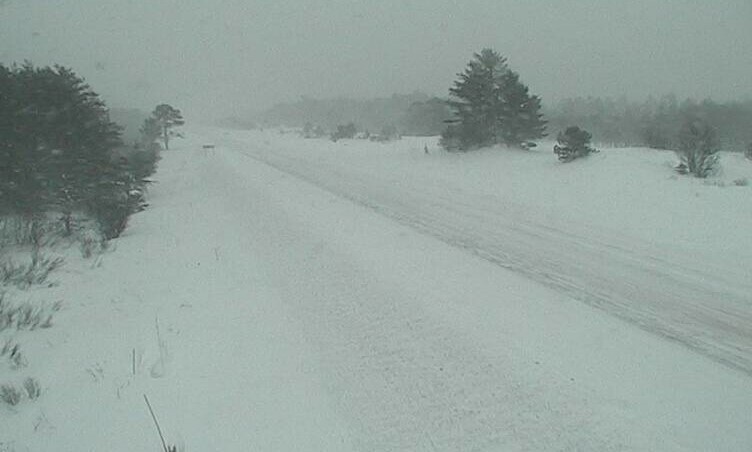 Visibility has been near zero at times in blowing and drifting snow, especially in Michigan. Blizzard Warnings remain in effect from Sault Ste. Marie to Marquette in the Upper Peninsula of Michigan. A couple inches of snow along with wind gusts to 40 mph will create difficult travel. Roads have been closed at times already. 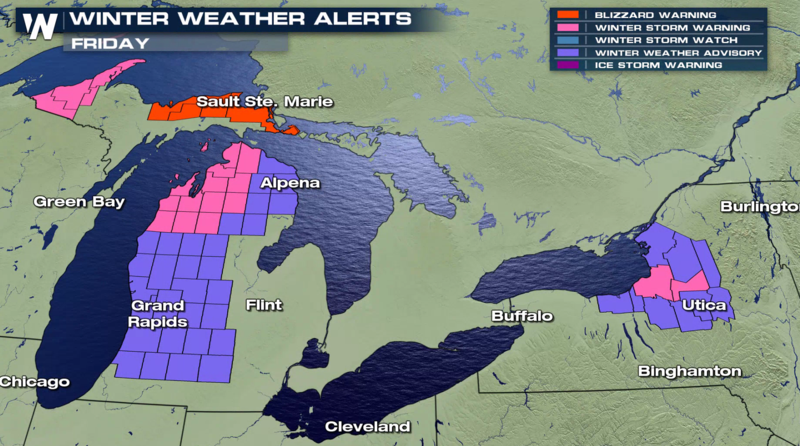 Additional winter weather alerts have been issued along Lake Superior, Lake Michigan and Lake Ontario. The heaviest snow totals will be seen in New York, with up to a foot possible in the heaviest squalls. The worst travel conditions will likely be found in Michigan. Snowfall totals will range from a couple inches in the U.P. 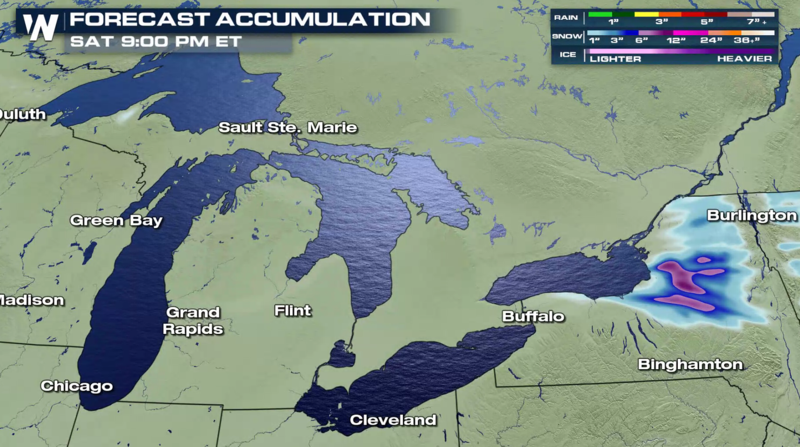 to 6″ in southwest Lower Michigan, but strong winds will produce blowing and drifting snow. Lake Ontario will produce some intense snow bands, with potentially up to a foot of snow. Wind gusts to 50 mph will create difficult travel conditions.